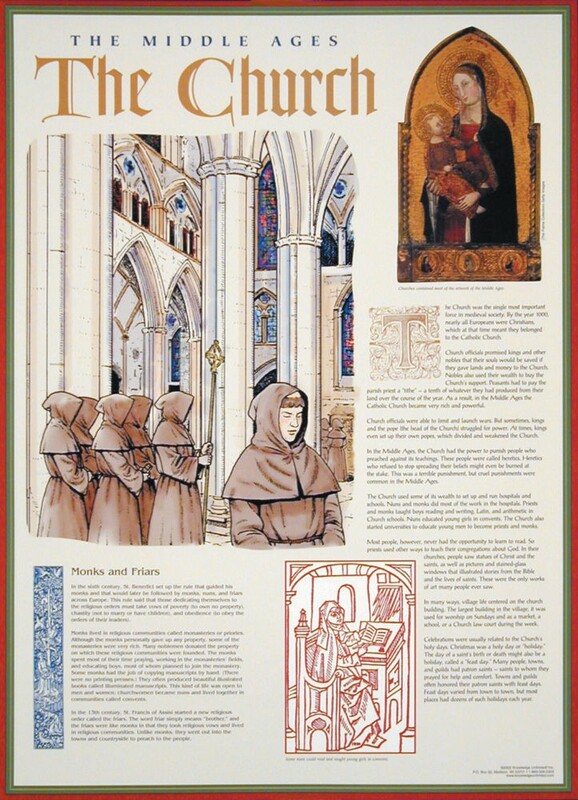 This poster focuses on the Church as the single most important force in medieval society. By the year 1000, nearly all Europeans were Christians, which at that time meant they belonged to the Catholic Church. 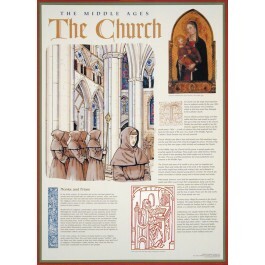 The poster contains beautiful artwork and explanatory text about the Church in medieval society. It also contains information about monks and friars.